Many travelers find that taking advantage of public transportation is a great way to see the private life of the islands and experience a whole new dimension of Hawaiian culture. Bus service can vary a bit from island to island, so if you plan on traveling like a local, make sure you know what to expect. There are plenty of reasons to ride the bus when visiting Hawaii. Some vacationers want to escape the pressures of driving in unfamiliar terrain, while some appreciate the economic advantages, and others enjoy the opportunity to meet local people. No matter what your motivations, the bus system offers a great alternative for getting around Hawaii's four largest islands. With a total area of more than 4,000 square miles, there's a reason why Hawaii's largest island is known as "The Big Island." Traversing the space can pose a real issue for both visitors and locals alike. Fortunately, the Hele-On Bus offers free service on more than a dozen routes, all designed to help people get from one end of the island to the other with ease. Air-conditioned buses run between 5:30 a.m. and 10:00 p.m. most days of the week, although there is a great deal of variation between routes. Standard service is free of charge, but luggage, backpacks, and other unwieldy items may be subject to a $1(USD) fee. Sports equipment such as surfboards, bicycles, and boogie boards require permission and will probably not be permitted during peak times when the bus is full. For routes and schedules, please visit the Hele-On Bus website(http://www.co.hawaii.hi.us/mass_transit/heleonbus.html); for questions, or to request additional information the number is 808-961-8744. The island of Kauai is known as a great spot to get away from your cares. Lacking the hustle-and-bustle of Hawaii's more urban cities, the focus for many visitors will be on the island's natural beauty. It should come as no surprise, to learn that the bus service available here caters more to the local residents than on tourists. Between 5:30 a.m. and 6:00 p.m., the Kauai Bus runs hourly. An ideal way to set out on a daytime exploration of some of the island's smaller outlying towns, travelers may want to take note of the fact that buses do not stop in resort areas. If you don't mind walking a bit, there are a few stops nearby. Bulky items are not allowed on-board, so if you plan on shopping, try to limit yourself to one bag. Fares are $1.50(USD), although a discount is available to students, seniors, and passengers with disabilities, all of whom pay only $0.75(USD). If you'd like to know more about the Kauai Bus, direct all inquiries to 808-241-6410. Known for its incredible natural diversity, Maui offers travelers an endless array of possibilities. Jagged volcanic mountains slope dramatically through lush greenery, ending with impossible ease in white sand beaches that kiss the Pacific Ocean. Bus travel offers vacationers a chance to soak up all the beauty that the island has to offer without a formal guided tour. The bus service here is an innovative marriage of public access and private industry. The rates are low and the routes are convenient, but the buses themselves resemble shuttle vans, featuring seatbelts and air conditioning. More than fifty stops, along eight different routes, keep all of the major areas of Maui connected and make it easy to reach any local destination. Two of the lines offer free service, and the fare for taking any of the others is only $1(USD). To learn more about the schedules and routes, check out the website at (http://www.mauicounty.gov/bus/). Any additional questions can be handled by the company, which can be reached at 808-871-4838. Certainly the busiest of the Hawaiian Islands, Oahu is also one of the most densely-populated. Driving can be a nightmare in fast-paced Honolulu and parking is notoriously difficult all over the island. Buses offer the perfect solution as the local government is in the midst of a big campaign to promote public transportation, and reduce Oahu's traffic problems. Recent efforts to improve the quality of the bus service are responsible for making it more convenient, affordable, and incredibly easy-to-use. 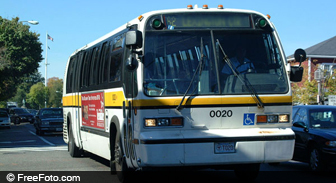 There are a number of routes and stops, along with plenty of buses to service them. A few popular trips even have express service to reduce travel time. Depending on the line, most buses run from 5:00 a.m. until midnight, and all fares are priced at $2(USD). The county also maintains a very informative website where users can learn about community events and road conditions, in addition to finding out more about routes and services. Visit the webpage at (http://www.thebus.org) or call 808-848-5555 for more information. If you're looking for an interesting way to discover all the beauty of the islands (or if you'd just prefer to sit back and enjoy the ride) bus service may be an ideal way to get around while vacationing in Hawaii. When traveling to Hawaii, you may want to take some time to acquaint yourself with the local culture.